How Does a Wrongful Death Case Differ from a Typical Personal Injury Case? 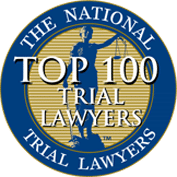 A personal injury case is a type of civil case where a plaintiff (the injured person) sues a defendant (the person who caused the harm) for compensation. 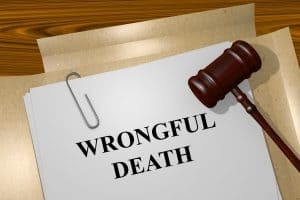 In a wrongful death case, however, the plaintiff is usually a family member, who is suing either on behalf of a person who died as a result of negligence, or to recover compensation for his or her own loss. Wrongful death cases are brought on behalf of the family members. The person who can file the claim depends on their relationship to the deceased. In Tennessee, the spouse has the first right to file the claim. After the spouse; children, parents, next of kin, and the personal representatives have rights to bring the claim. Wrongful death claims are brought on behalf of the spouse and the surviving family members. What damages the deceased would have been able to claim if he or she had lived, including any lost wages or pain and suffering in cases where the death was not immediate. The lifetime earnings lost due to the premature death of the decedent. The loss of comfort, society, and love the decedent would have provided. The mental anguish of the family members. If the death was due to criminal conduct, then normally the criminal case will proceed first. Often, a conviction can help force a settlement or be used to show fault in the civil case. A common example is when someone you love was killed due to a drunk driver. The DUI case will likely be tried first. There is no requirement, however, that the death was intentional or reckless. If someone negligently but accidentally causes someone else to die, a wrongful death claim can still be brought. If someone was reckless or the death was intentional, the wrongful death claim can include a claim for punitive damages. Wrongful death cases are complicated by the fact that the victim can’t testify as to what happened. Since many cases turn on the testimony of the witnesses, this can make proving fault more difficult. 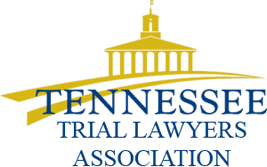 Experienced Chattanooga wrongful death lawyers work with investigators, the police, product safety experts, traffic reconstruction engineers, and other witnesses to help prove the death was someone else’s fault. In Tennessee, you have one year from the date of the death to file a claim; in Georgia, it’s two. For this reason, it is crucial that the person filing the claim on behalf of their loved one, speak with an experienced wrongful death lawyer as soon as possible. Typically, a financial professional who has experience analyzing the value of death cases will be consulted. This professional will review many factors to arrive at a value of the damagers. The type of work the decedent did. The income of the decedent prior to the accident. The projected income the decedent would have earned. The value of any benefits including retirement benefits, vacation pay, and other benefits. The cost to pay for outside services the decedent would have performed. (This can include the cost of caring for the children, home maintenance, and many other tasks). The ages of the spouse, children, and other entitled family members. It is crucial to consult an experienced Chattanooga wrongful death attorney quickly if someone dies in an accident. We understand the priority of mourning for the person who died. Since the decedent can’t testify, it is important to speak with any witnesses and examine why the accident happened as soon as possible. To speak with a premier wrongful death lawyer, call Wagner & Wagner Attorneys at Law today. We’ve been fighting for injured victims and families since 1945. 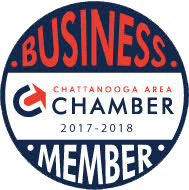 We represent accident victims and families in Chattanooga, Cleveland, and throughout Tennessee, and in North Georgia. Please call us at 423-799-3532 or fill out our contact form.